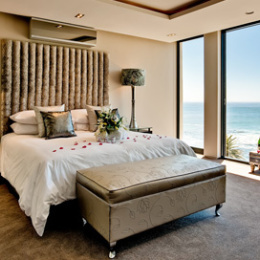 Situated in picturesque Camps Bay surrounded by the Twelve Apostle Mountains, Table Mountain and the Atlantic Ocean on the other side.” on the doorstep of all the famous attractions of Cape Town. We´re only 7 minutes drive from Cape Town and the V&A Waterfront. 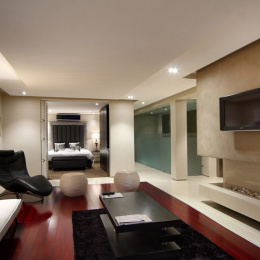 Your Guest File in your room will provide you with all information about Cape Town and surroundings, history, restaurants, tours and important telephone numbers that you might need while on holiday. 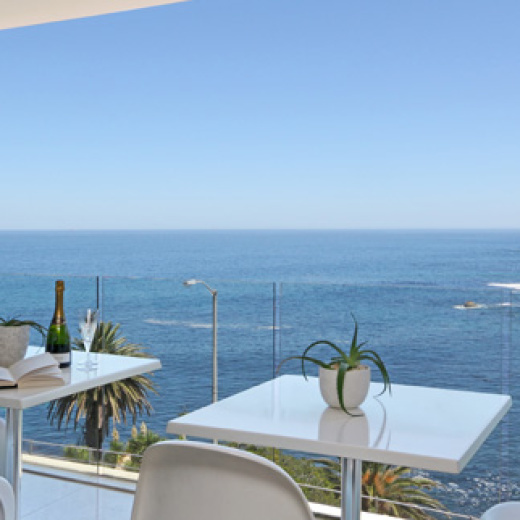 A 7 day weather forecast is available for you to plan your days ahead and will be more than happy to assist you with any of your restaurant and tour bookings as well as car hire. 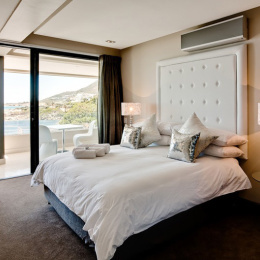 Relax in your individually decorated room or suite and enjoy all that Camps Bay has to offer from the fresh smell of the ocean to views that begs to inspire. 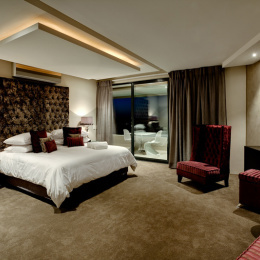 Our entertainment area offers a swimming pool and Jacuzzi where you can enjoy your wine and snacks in the evening or just enjoy the beauty of Camps Bay during the day. Take some time in our lounge area with uninterrupted sea views or snuggle up in winter in front of the modern gas fireplace with a glass of wine. Wine and snacks are served in the lounge and by the pool area in the evenings between 18:00pm and 20:00pm.